June 2019 they’re launching a commodities + TIPS fund – actively managed for 20 (TWENTY!) basis points. Versus average fund cost of 1.25% in the space. Now, don’t get us wrong – seeing Vanguard coming into the commodities space at 20 basis points should worry any active managers in that space. The days of 2 and 20 are mostly gone, but this is 0 point 20 (0.2) and 0. A new low bar has been set by the people who excel at setting very low bars. Vanguard has amassed trillions in assets, mainly by being the COSTCO of investing (without the membership fee). Just come get as much stuff as you want for super low prices. 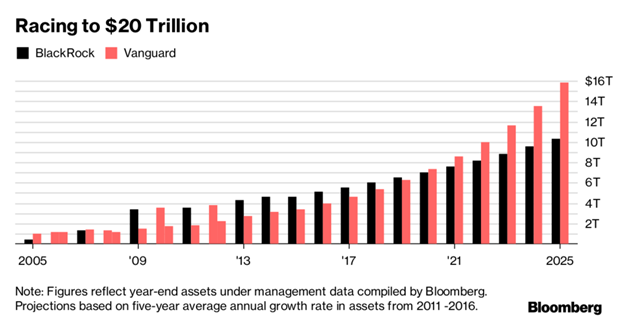 Here’s Bloomberg extrapolating their growth in assets out a few years in the race to $20 trillion they are in with Blackrock. But, from what we see, this is more of an attack on long-only commodity funds than ‘managed futures’ per se, as the strategy appears to be a portfolio of long commodity exposure with TIPS mixed in. Here was the description in the Vanguard press release. Here’s how the Bloomberg Commodity Index has looked over 16 years. No wonder they’re only charging 20bps. We’ve been hammering the ‘long and wrong’ is bad in commodities drum for a while now, because of this poor performance and because of the huge volatility. 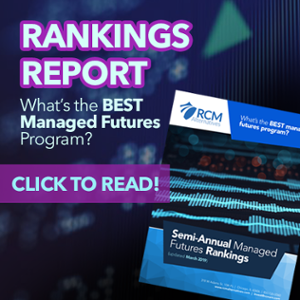 And loved seeing one of Ritholtz Wealth Management’s bullpen aces – Ben Carlson – tackle this subject in his own unique way, outlining that trend following rules are the best way to gain meaningful exposure to the commodity markets. One last thing, this Vanguard fund will essentially be an oil bet in disguise. 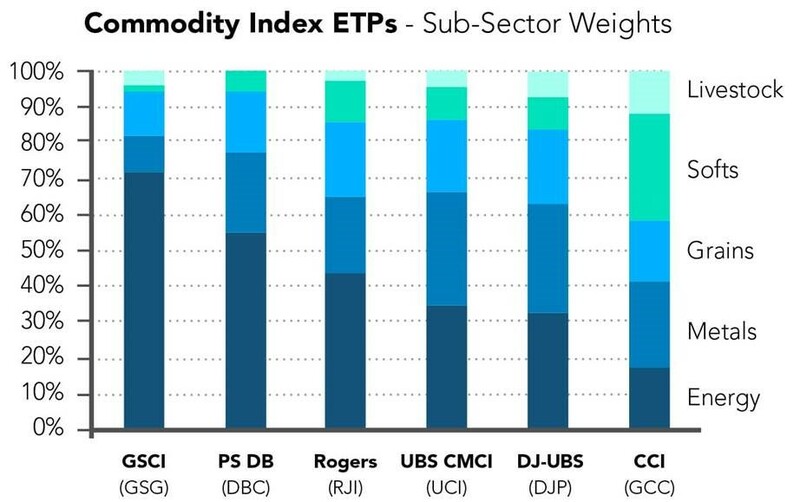 Most of the commodity indices are heavily skewed towards the energy complex and crude oil in particular, with the rest of the exposure mostly in metals. So, dream all you want of that field of corn or cotton and exposure to inflation in such markets in places like South America or Australia. You’re not going to get any return from those markets in a ‘commodity index’ product unless oil and metals play along. And if you’re basically just betting on oil, there’s a lot better ways to do it than the inefficient access point of commodity index products.…and one very bad way to do it named $USO. If you’re dedicated to having some commodity exposure, don’t be afraid to avoid the long only commodity index products, likely including this Vanguard one. And instead look to investment programs which go long and short commodity markets (here’s a good place to start, the database with a complete list of all the managers who make up the Barclay hedge CTA database).